Amabile Visintainer was born in a poor section of Italy in 1865. When she was 10 years old, her family and many of their neighbors sailed to South America. They were looking for a better life. The immigrants traveled to Brazil and started a new town, which they named Vigolo. Even though many things had changed for Amabile, the Catholic faith remained at the center of her family’s life. She made her First Communion, attended religion classes, and helped the women of the village clean the chapel the immigrants built when they arrived. When she was 15, Amabile and a friend moved into a small shack to care for a dying woman who had no family. Their loving concern for the woman was the beginning of the Congregation of the Little Sisters of the Immaculate Conception, the religious order Amabile founded. The bishop gave his approval for their work, and both women took vows dedicating their lives to being signs of Jesus’ love for others. 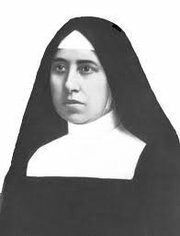 Amabile took the name Sister Pauline of the Agonizing Heart of Jesus. The Congregation grew as more women felt called to join in the caring work and prayerful lives of the Sisters. Pauline was elected Superior of the order. The nuns called her Mother Pauline. 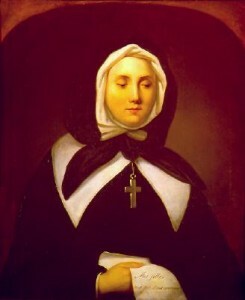 With her leadership, more convents were established in larger cities. The nuns cared for orphans and the elderly, especially former slaves who had been abandoned in the slums of Saõ Paolo because they could no longer work. The work of the congregation Pauline began continues today in South America, Africa, and Europe. 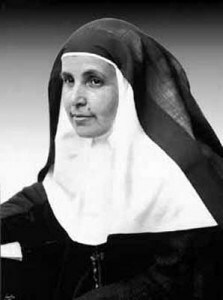 Pauline died in 1942 and was declared a saint in 2002. She was the first citizen of Brazil to be canonized. 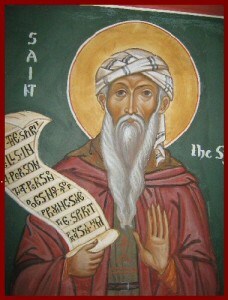 We can pray to St. Pauline, asking her to guide us in building the kingdom of God through our kind treatment of others.